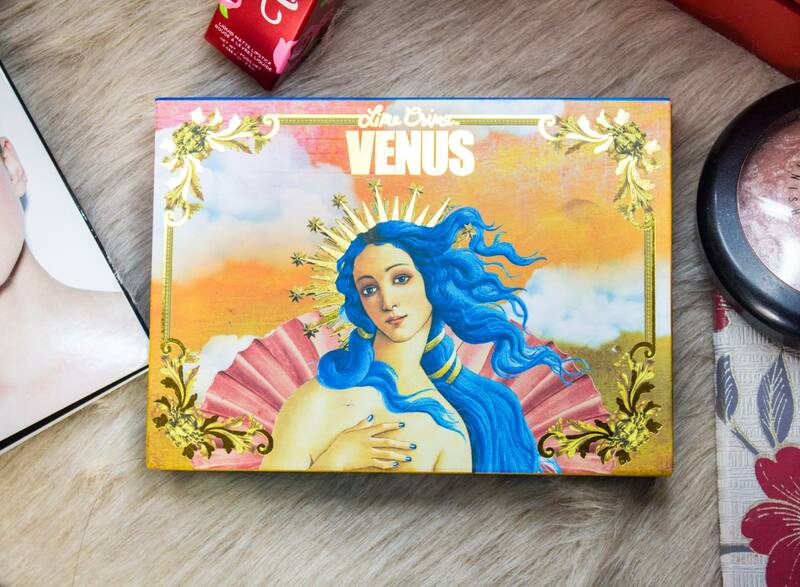 A year too late, but I finally got my hands on the Lime Crime Venus Palette! I purchased this through Dolls Kill during the BOGO sale after Christmas. On Dolls Kill, the palette retails for $32, which is why I’m glad I waited instead of rushing to get it when it first came out and paying a premium. My NEED for this palette never died even after all the controversy the brand has been experiencing (I know, I know), so I decided to purchase it through a third party site just to be safe. The packaging is BEYOND adorable. It came encased in a outlayer of plastic to further prevent damage during shipping. I love how rich the art is and how well constructed the packaging is. The mirror on the palette is large and encased with more scroll, art-deco designs. All the gold details on the palette are gold metallic foil and shine beautifully. THESE SHADOW PANS ARE HUGE. About 1in x 1in in size. 8 large sqaures of eyeshadow all ready to create the perfect nu-grunge eye looks. Overall, I really like this palette. 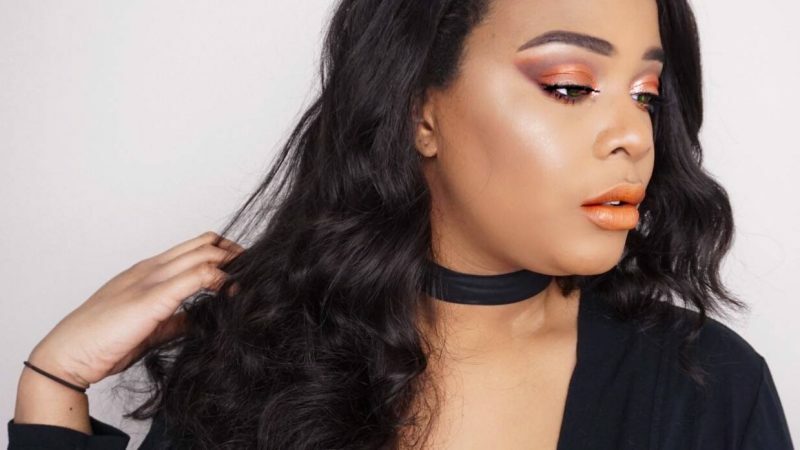 I had been eyeing more deep reds and browns to change up my looks from the nuetral eyeshadows I usually wear. My favorite shades out of this palette are Venus, Creation, Aura, and Muse. I’m not sure if I will use Icon (due to its patchiness) or Divine (due to its very cool tone). I definitely recommend using a primer for these shades because, although they are very pigmented, they need a little help in the longevity area. After a few hours, the shadows started to fade but I’m sure with a bit of UD Primer Potion they will last all day. I hope to have some EOTD and Full Face looks up soon featuring this palette. Gotta work on my blending first! Namesake shade of the palette. 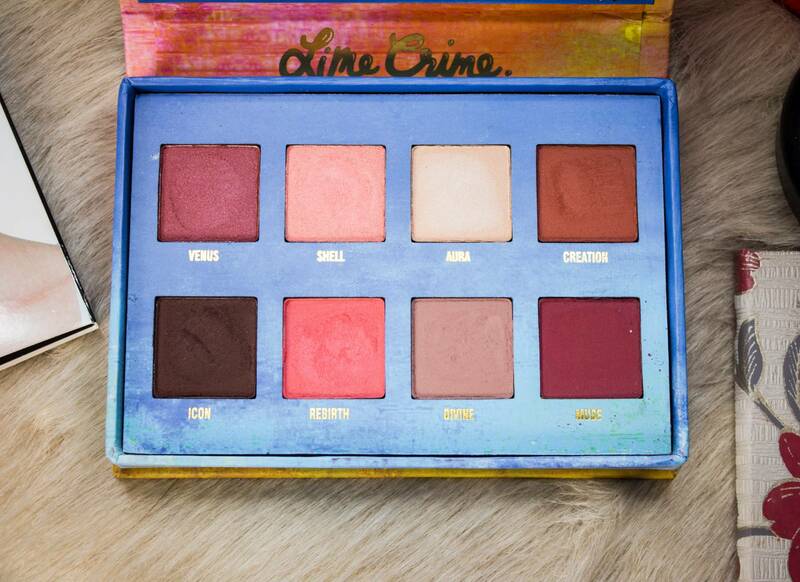 Lime Crime describes this shade as “The color of bruised fruit AKA ‘marsala'”. I’m basically obsessed with the color marsala so it is no surprise that this is one of my favorite colors in this palette. Deep burgundy and reds look really good on darker skintones, in my opinion, so this shade was one of the main selling points for me. Lime Crime describes this shade as “Opalescent shell-pink”. Very mermaid-esque! Also, extra powdery and tends to have a bit of fallout because of how finely milled the powder is. I blew off the extra pigment that was left in the pan and on my arm after the swatch. I’ve never really tried a light pink eyeshadow so I’m very curious to see how this will look against my coloring. Lime Crime describes this shade as “Pearlescent ivory”. Perfect for the inner eye and brow bone highlights. Very pigmented so when you apply too much it appears more opaque and loses some of its glow and pearlescent finish. Lime Crime describes this shade as “Rust brown”. Love this color! 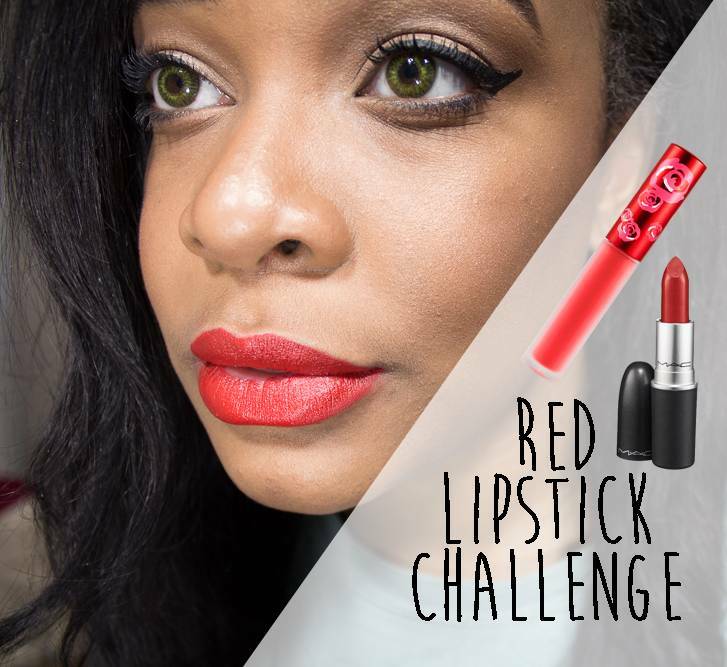 This shade and Rebirth are the two most pigmented in the bunch. The color reminds my of the Shroom Velvetine by Lime Crime as well. Believe this will be an excellent crease shade. Lime Crime describes this shade as “Dark brown”. Very patchy and chalky dark brown. It was very hard to get a good swatch. 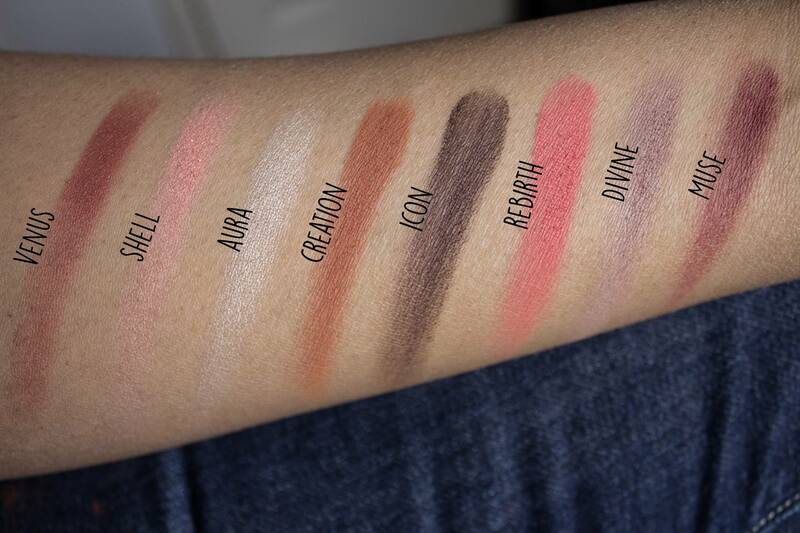 At first, I thought it was the way I swatched it but as I kept trying to fill it in more it became streaky and uneven. I really wanted to like this shade for darkening the outer eye V, but I’m not sure if it will give the precise and pigmented coverage I need. Lime Crime describes this shade as “The color of an over-ripe nectarine .” I don’t really see nectarine but I do see a very pigmented salmon-colored pink. One of the two most pigmented shades in the palette. Lime Crime describes this shade as “Dusty stone.” To me it reads more as a cool taupe shade. Honestly, I think this shade will be gorgeous on someone with a lighter and cooler skintone. For me, its not gonna work. I think it will pull way too ashy on my particular skintone. Lime Crime describes this shade as “Deep burgundy red”. Another great staple for the palette. Rounding out the group with a deep oxblood color. I love that this shade is matte because it can be used to transition between Venus and Icon to polish off the grunge look. Palette purchased through Dolls Kill. You can also purchase this palette here! This is such a nice palette. I thought the colours would be very pinky, yet the swatches look lovely. Thanks for sharing. Looks like such a beautiful palette! Those shades look so beautiful. Lovely colours! Thanks for showing! Good day especially admin brittnykindred.com.